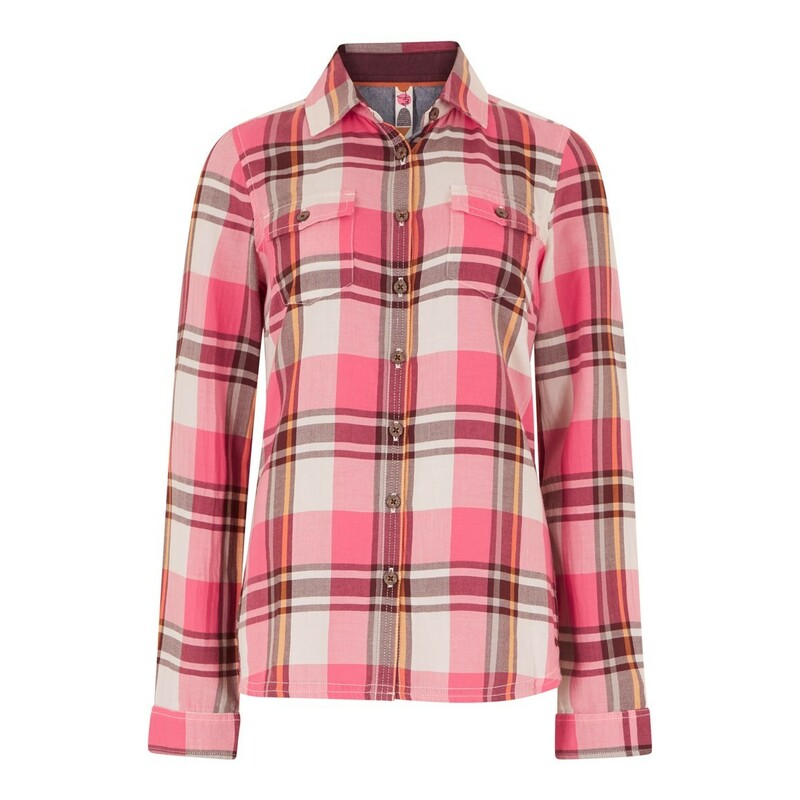 This season wear our classic Rosa checked twill shirt and bring a much needed flash of colour into your day with our vibrant hot pink dyed shirt. 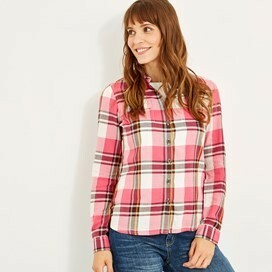 The Rosa checked twill shirt looks great with a complimentary coloured plain outfitter T-Shirt underneath, why not pair with one of our Walkabout slub cotton T-Shirts and your favourite jeans and boots, the perfect look for a laid-back day at the coast. This looks lovely. I haven't worn it yet but it feels lovely and soft. A good fit. 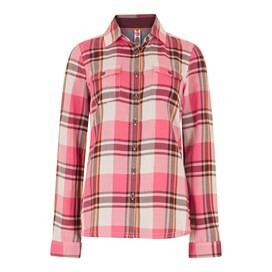 Very qood quality cotton shirt but but sizing not good. Very long sleeves and tight around the chest.